A good smoothie to me always includes a fresh avocado to make it creamy. If you don’t like avocado, skip it. You can add 2 Tbs Almond butter or additional coconut milk. Add fresh or frozen berries (strawberries, blueberries, etc.) and greens. In the beginning if your taste buds need more sweet, you can add Liquid Stevia Drops . Start with a few drops, taste and adjust. Add 1/2 – 1 cup Native Forest whole coconut milk plus another cup + of pure water. Add 1 tsp Nutrex Hawaiian Spirulina Powder per serving because it is pure, raw, and powerful. It will give you energy, antioxidants and nutrients galore! Buy only Spirulina Powder from Hawaii to avoid heavy metal contamination from junk spirulina coming out of Asia and other places. 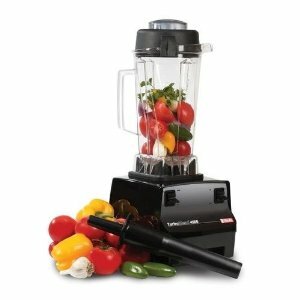 The Vitamix will change your smoothie-making life! 1 tsp L-Glutamine powder. Great for muscle recovery post-workout; nourishes the cells of the gut; helps combat food cravings! Try your hand at making a quality, nutrient-dense protein smoothie. If your version doesn’t taste sweet enough, add a few drops of liquid stevia instead of loading the smoothie up with more fruit. Store in mason jars for a quick grab-n-go meal and use within 2-3 days. Smoothies can be frozen (I save heavy glass bottles from Synergy Kombucha for freezing).